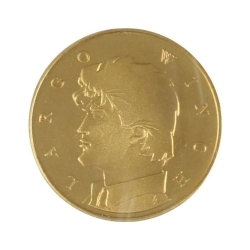 The Royal Mint of Belgium is responsible for the production of circulation coins, design and quality control. 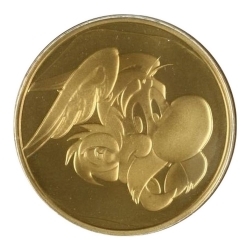 Alix imitation medal struck by the Royal Mint of Belgium in tribute to the characters of Jacques Martin. Medal with a diameter of 37mm and a weight of 22g. 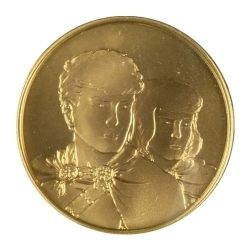 Thorgal imitation medal struck by the Royal Mint of Belgium in honor of the character of Rosinski and Van Hamme. Medal with a diameter of 37mm and a weight of 22g. 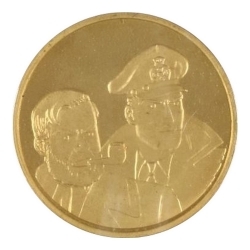 Blake and Mortimer imitation medal struck by the Royal Mint of Belgium on the occasion of the 100th anniversary of the birth of Edgar P. Jacobs. 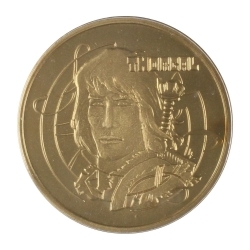 Medal with a diameter of 37mm and a weight of 22g.